**$3,000 credit for Buyers at closing to use towards a taller privacy fence, closing costs or maybe even buying down their rate!! 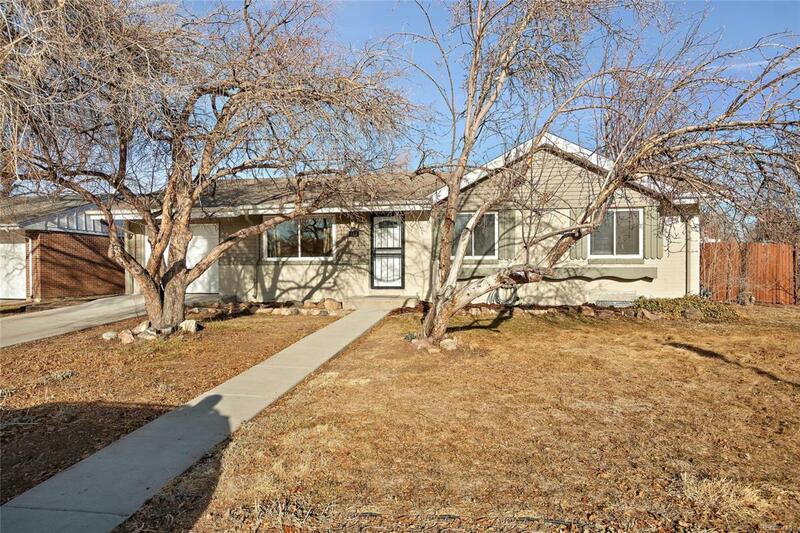 ** Must see the charming & updated home in Denver! Located on a corner lot, this home features 4 bedroom and 3 bathrooms. This home greets you with a very bright & open floorplan with original hardwood floors! Spacious kitchen, granite countertops with plenty of cabinets. Brand new kitchen appliances! Separate area for dining. Patio doors off of the kitchen leading out onto your covered backyard patio. One of the main level bedrooms has its own bathroom and so does the bedroom in the basement! **TWO MASTER SUITES!! **Basement bedroom has a big walk in closet. Fully finished basement with a separate area for laundry. Large backyard with a privacy fence all around. Great Denver location as you are 10 minutes away from Cherry Creek Mall. Lots of restaurants and shopping all around. All you need to do is move in and make this your happy home!